In recent years, mass spectrometry has moved more than ever before into the front line of protein-centered research. After being established at the qualitative level, the more challenging question of quantification of proteins and peptides using mass spectrometry has become a focus for further development. In this chapter, we discuss and review the strategies and problems of the methods currently in use for the quantitative analysis of peptides, proteins, and finally proteomes by mass spectrometry. 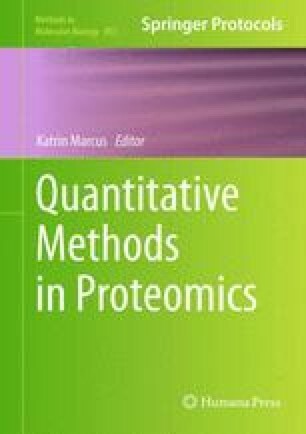 The common themes, the differences, and the potential pitfalls of the main approaches are presented in order to provide a survey of the emerging field of quantitative, mass spectrometry-based proteomics.